Since I get asked a lot of questions (and often the similar ones) about my lifestyle, here is my answers to the most frequently ones asked. If you have more questions, simply comment in this post. 2. 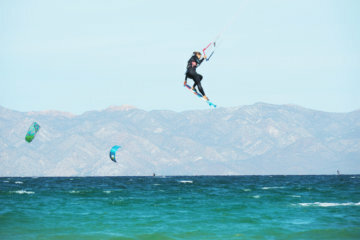 It looks like you’re on holiday and kitesurfing 24/7. Seems so easy, how can I get that? 3. How do you get new projects? 4. How many hours do you work per week? 5. 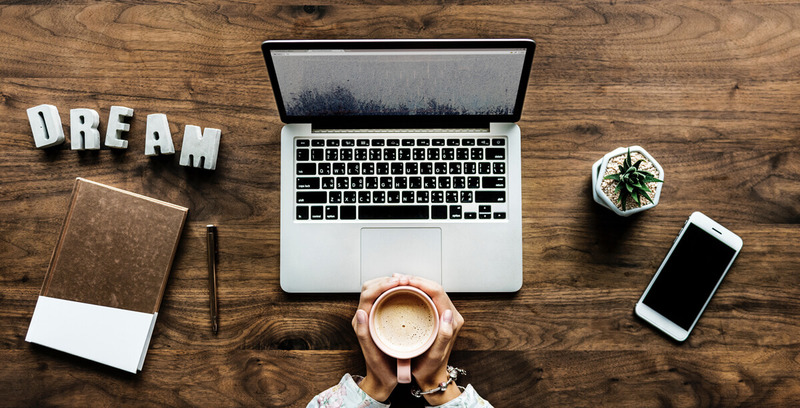 How easy was it to go to freelancing and change your life like that? 6. How does your typical day look like? 7. How are you imagining your life with your own family later? Do you even want kids? 8. Which kite spots do you still want to travel to? 9. 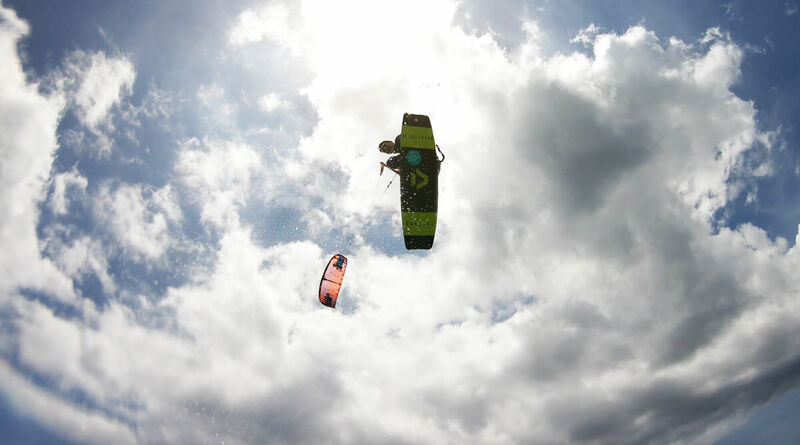 How do I make a living of kitesurfing? 10. What does happiness mean to you? I make my living by working as a remote freelance graphic designer. Most of my clients are from Germany, Austria and Switzerland. 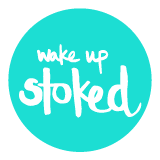 Wake Up Stoked is becoming a bigger part in my life but freelancing is still paying my bills. People love to pick out the cherries on top of the pies called life. Most people who meet me – knowing me from instagram – think that my life is one big holiday. Guess what: it’s not! What lifestyle offers the most advantages to you? Make your own rules, design your own lifestyle to the extent that is possible for you and do yourself one big favor: stop comparing yourself to others! Or to what you think others have/own/live. All that counts is to make yourself happy and only you know what that is and how to do it. To be honest, I’m very lazy and lucky enough that my previous clients recommend me to my new clients. So I’m very „untraditional“ when it comes to it 😉 However the first 2 years I didn’t have enough own clients so I was freelancing a lot for agencies in Munich. It was a process for me (which I describe pretty much in this article) but once I had a vision of it, it was super easy to take the decision. Implementing it in my life was freaking hard at times, definitely a rollercoaster and I’m thankful for being so naive and enthusiastic for taking the decision in the first place. It took me two years to make it work, I doubted a lot at times but my drive to live this lifestyle was huge and I’d never want to go back. I have a pretty standard morning routine, when I’m at a spot and am not traveling. 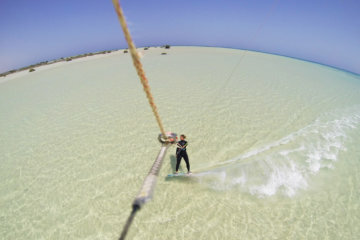 You can find more infos on how I create my perfect kitesurf work balance here. I have no idea right now if I want kids but if I do and if I want to keep living this lifestyle, there are a lot of inspiring moms/families out there who are living this lifestyle with kids 🙂 Like Janina, the Sundance family or the nomad yoga family. 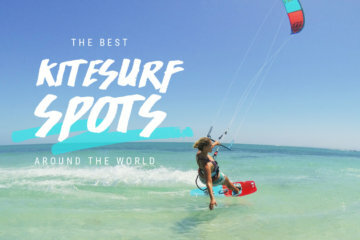 Ahmmm that’s an endless list that is always growing 😉 There are so many that it’s hard to count them all but up on my list is: Western Australia, Grenadines, Peru, all the other spots in Brazil I haven’t seen yet and Bali (even if it’s not for kitesurfing). Just my personal opinion: it can be much harder making a living of kitesurfing than making a living and having lots of time to kitesurf. 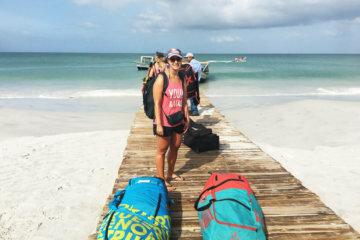 Just to give few examples: To make a living of kitesurfing you could teach kitesurfing, work in a kite school as a manager, in the shop/rental, open your own kite school, do kite camps, be a kite travel agency, work at a kite brand etc. Out of my personal experience it’s pretty tough to make money this way and sometimes it might be easier to rather focus on making decent money and still having the time to kitesurf since you actually have time (or can schedule your work hours yourself and go kite when it’s windy) and since you’re living close to a kite spot or you can travel there easily/quickly. And I think it’s really important to just try things out! When I started kitesurfing I thought being a kite teacher was the solution to having more kite time myself. Actually the opposite was true: I was teaching 5-6 hrs daily and often too tired too enjoy my sessions afterwards, when the best wind is up you have to teach, I was broke most of the time because I only got payed per hour so if there was no wind I got no money, I was dead tired from spending so much time in the sun. Still it was the best experience ever and I enjoyed it for a year and I’m happy I tried! I wouldn’t be anywhere close to where I’m know if I hadn’t tried it because I met so many great people during that time and my whole perspective on work life changed. As always: see what suits your personal lifestyle best and if you’re in doubt, just give it a try! Side note: There are lots of different payment systems out there for kite teachers of course so you might find much better deals. And I know a lot of people who absolutely love teaching kitesurfing and are doing it happily since years, having enough money to live from it. Being in the present and enjoying what that present moment offers – no matter what and where that is. Spending time with people that matter to me, doing things I love. Move and sweat every day and nourish my body with yummy stuff. Living my emotions.